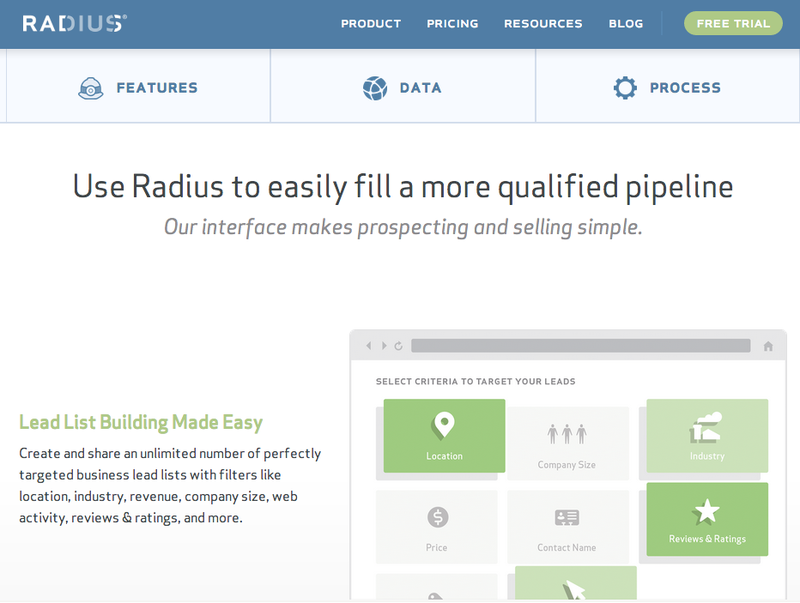 Market and Sell To 27+ Million Small Businesses With Radius | Brand On! Radius is a high-tech replacement for the outdated “lead list.” Forget ever having to buy sketchy prospecting lists in order to send out shotgun-blast style messages. Instead, get continually updated information on over 27 million small-to-medium sized businesses in the U.S.
Radius sifts through millions of Big Data points to present the most accurate information available. Instantly narrow down your search for the best prospects and integrate it with Salesforce—or export your lead lists to a spreadsheet. To learn more, listen to the recent Marketing Squadcast podcast featuring Radius Marketing Manager John Hurley. Or for a demo, feel free to contact Nate Kouhaha. He’ll be happy to help you get started.